Toastmasters Speeches: The Keynote Address-Sample Speech, "Focus On Your Goals"
The Keynote Address-Sample Speech, "Focus On Your Goals"
(After being introduced by emcee) Thank you, (emcee). 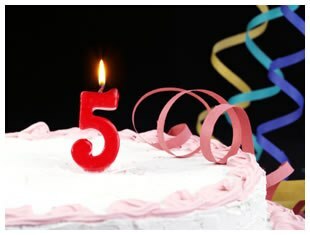 Happy Anniversary to all of us here celebrating 5 years of Alabang Community Toastmasters Club's fruitful existence. Wow, it feels so good to talk into a microphone once again after getting used to speaking loudly without a microphone. You all know how difficult it can be sometimes when over there at Henlin, our home base, we'd have to speak a bit louder especially with a big audience. It also feels good just to speak in a venue away from our home base, once in a while. Speaking of “home base”... Three years ago, I was at a different home base and that was at my previous Toastmasters club. It was a corporate club at my old office. It was a difficult time back then because many of the officers in that club had quit and we could no longer renew club fees. The year later, that club, the ON Semiconductor Club, folded up. It was unfortunate and so I went searching for a new club – this time a community club that will accommodate outsiders like me. I considered 2 clubs. One club was near where I worked in Carmona, Cavite and the other was in Alabang, the Alabang Community Toastmasters Club. How did I know of these 2 clubs? Well, I had the wonderful opportunity of going club hopping upon the urging of my previous mentor. With club hopping, I managed to meet other area governors, even those outside of my previous club’s division. Lolet was one of those area governors. And so, after weighing the pros and cons, I decided to join the Alabang Community Toastmasters Club. Why ACT? Well, it was additionally due to Ma’m Lolet’s urging me to join the club. Although not a beginner, I didn’t consider myself an exceptional toastmaster. But still, she was adamant that I join the club. Now, between that other club and this club, which would you rather choose if the folks in this club certainly made you feel welcome? And so I joined ACT. Did I make the right decision to join ACT? Yes, I think I did. Because 2 years later, that other club over at Cavite is now dead while ACT continues to thrive – on its 5th Anniversary! What makes ACT continue to thrive? Well, I think that apart from the strong leadership, I believe its being a community club has something to do with it. See, in my previous club, the membership and renewal fees were all shouldered by the club – it being a corporate club. And that’s the "sad" thing. The members simply took the club for granted. While for the rest of us who joined a community club, we pay mostly out of our own pockets, right? And so, we... we don’t take it for granted. But I think more important than that is the drive and motivation to join. Those in corporate clubs join largely because the supervisor or the bosses or Human Resources ask them to. Improve communication skills? Leadership skills? Sure, but for them it isn’t what drives them to attend meetings. That’s not true here. We, here, joined Toastmasters out of our own volition. We may have different agenda in mind, but in the end we are like-minded in that we all joined to become better communicators and leaders. That’s the goal. And I believe that we need to focus on our goals. If we focus on our goals, the club will thrive. It has to. It’s automatic. 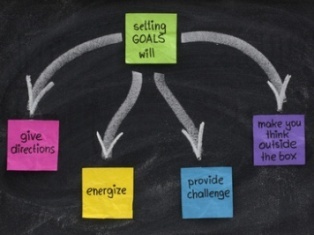 By sticking to something as simple as the Toastmasters’ Promise, consistently, we attain our individual goals. And by achieving our individual goals, the club achieves its goals, and so does the area, the division, and so on and so forth. That’s my message, especially for our new members. Work on your goals. We have strong and supportive Toastmasters who want you to succeed. In fact in meetings, when you give your speeches, that’s what we want to happen. Contrary to what new members or beginners might think or feel, most veteran Toastmasters are not that bad. Neither are they judgmental. No! Toastmasters actually WANT you to succeed. Even if you come up on stage shaking and nervous, we STILL want you to succeed. Believe me, nobody wants to see you fail. We WANT you all to succeed. So it’s good that you remember that and keep that in mind whenever you speak in this speech laboratory we call ACT. I’ve been with ACT for two years, and so, just as I accepted Ma’m Lolet’s invitation to join the club 2 years ago, I now accept your vote of confidence to be President. It’s no easy feat filling in the shoes of the past president, but with your able set of new officers, I believe we’ll continue to attain new heights for the club. Happy 5th Anniversary and Good Evening everyone.